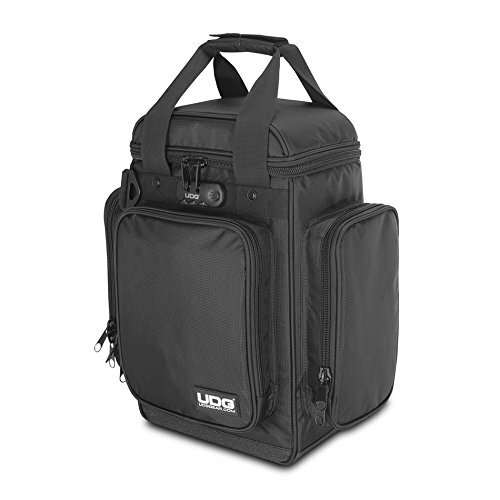 Created for the Digital DJ, the UDG Ultimate Producer Bag Small is specifically designed to carry laptops up to 17in and a 2 channel MIDI controller. 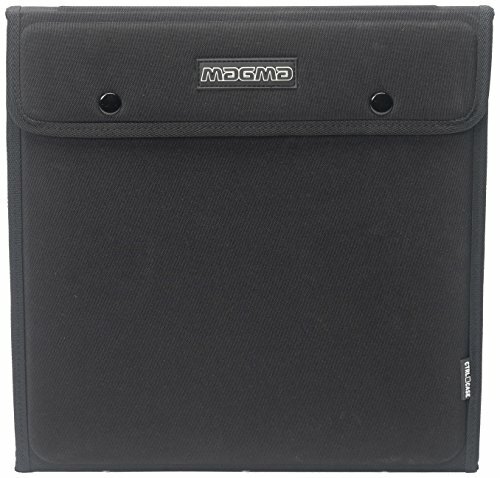 Constructed from high quality fabrics, the backpack style UDG Producer Bag Small features padded walls with an adjustable divider so that you can create an internal partition to suit your own requirements. The bag has recently been updated with an improved dual strap top handle and an ergonomically designed detachable shoulder strap. 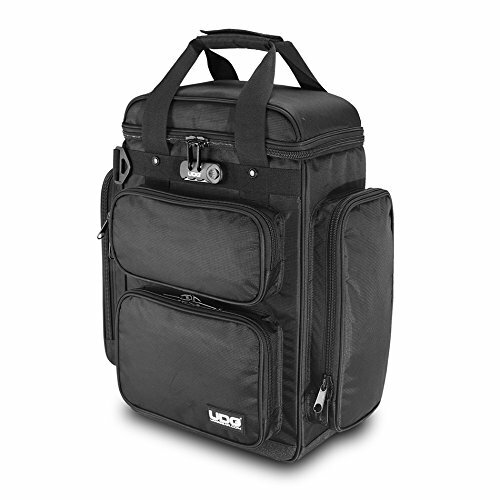 Available in black, the bag offers both comfortable transportation and padded protection for your valuable equipment. 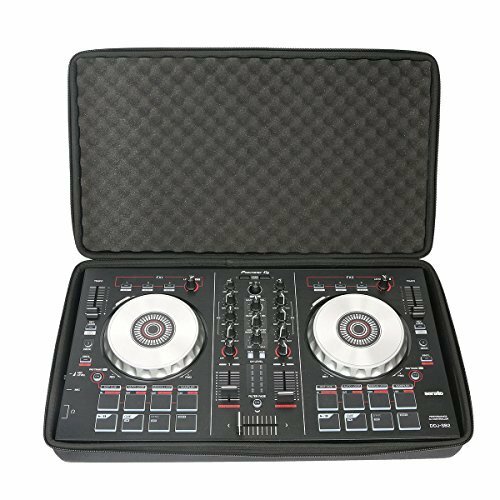 Hard travel case for DJ controller A tough outer shell and shock-absorbent inner layer keep delicate equipment safe on the move. 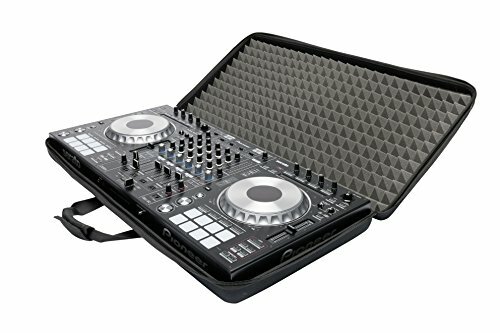 This Kenley DJ controller case has a hard shell with a TPU lining and foam cushions. 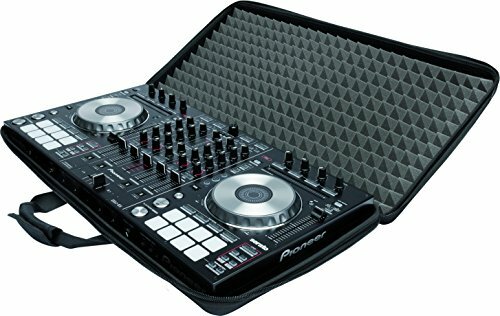 Specially designed for the Pioneer DDJ-SB2 DJ controller, the cushions are cut to fit this model and will keep the controller safe and snug. The case is made from durable material which is waterproof, dustproof and dirt proof. Avoid accidental damage When you're travelling to a gig, storing your equipment between sets or shifting stuff backstage, it's essential that you keep delicate equipment safe. This Kenley hard shell travel case is the ideal choice for transporting a Pioneer SB2 controller as the moulded foam is cut to fit this model exactly. 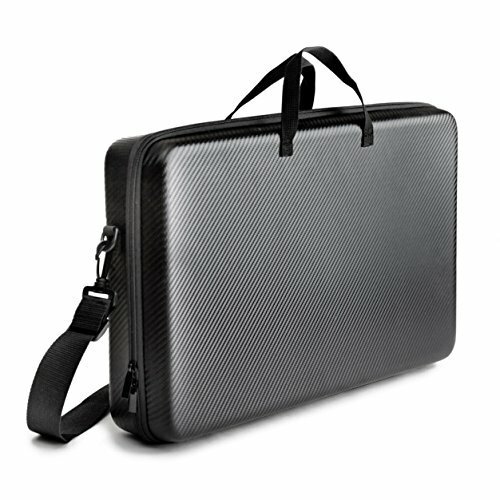 As well as a stylish finish, the case has carbon-fibre grips and a reinforced carry handle. A detachable padded shoulder strap gives you a choice of carry options. The external dimensions of the case are 19.7x3.1x11.4in (50x8x29cm)." 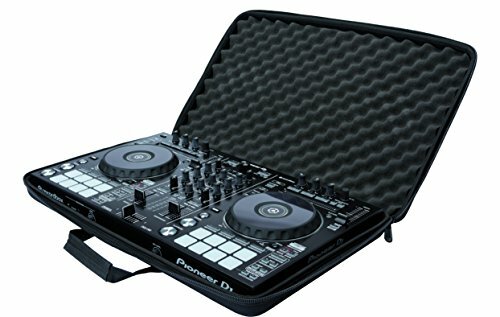 The new MAGMA CTRL case DDJ-SX2/RX is a super lightweight and compact carrying solution for your pioneer DDJ-SX2, DDJ-SX or DDJ-RX controller. The case is crafted from lightweight Durashock molded EVA foam and water repellent polyester exterior. The lid is lined with high density egg-crate foam to protect the displays, jog wheels, and controls. Use the MAGMA CTRL case with a Decksaver cover for added protection. To fit the Decksaver, simply remove the Velcro-attached foam lining under the lid. The MAGMA CTRL case DDJ-SX2/RX is ideal for most airline overhead compartments, and also fits inside the MAGMA roll top III backpack. Magma CTRL Record Sleeve - Holds 6 x 12"
The new CTRL Case 12″ Record Sleeve is specially designed to protect your control vinyl and comfortably accommodates 6 records and slip mats. Crafted from durable and shock-absorbing molded EVA foam, the extra-compact design is only slightly bigger than a regular 12″ record and fits easily into most DJ-Bags. Inspired by the legendary UDG Producer Bag, the UDG Ultimate Producer Bag Large has been created to cater for those electronic musicians who crave more space for their performance equipment.The UDG Producer Bag Large offers increased space for performers using laptops up to 18in and larger MIDI controllers.Constructed from high quality fabrics, the backpack style UDG Producer Bag Large features padded walls with an adjustable divider so that you can create an internal partition to suit your own requirements. Available in black, the bag offers both comfortable transportation and padded protection for your valuable items. The new Magma CTRL Case DDJ-SZ/RZ is a super lightweight and compact carrying solution for your Pioneer DDJ-SZ or DDJ-RZ Controller. The case is crafted from lightweight Durashock molded EVA foam and water repellent polyester exterior. The lid is lined with high density egg-crate foam to protect the displays, jog wheels, and controls. Use the Magma CTRL Case with a Decksaver cover for added protection. To fit the Decksaver, simply remove the Velcro-attached foam lining under the lid. The Magma CTRL Case DDJ-SZ/RZ is ideal for most airline overhead compartments, and also fits inside the Magma Roll top III Backpack. 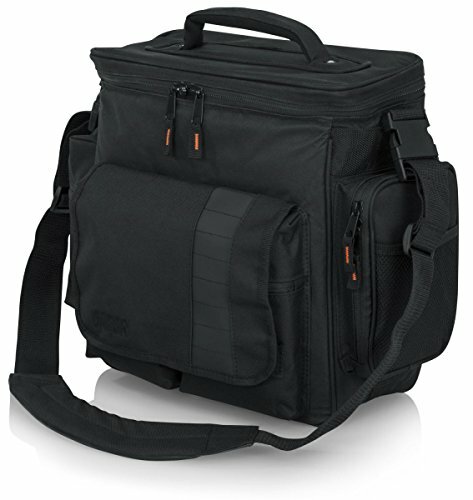 Looking for more Serato Bag similar ideas? Try to explore these searches: Stadium Final Season Game, Jks Bar Pin, and Malibu Copper Bulb. Look at latest related video about Serato Bag. Shopwizion.com is the smartest way for online shopping: compare prices of leading online shops for best deals around the web. Don't miss TOP Serato Bag deals, updated daily.